IBS 2019: SnapAV becomes sole distributor of Clare Controls affordable Z-Wave home-automation system, distributes Alula security products, incorporates into OvrC. 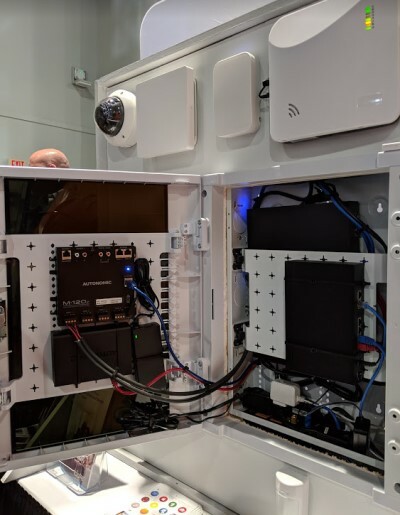 At IBS 2019, SnapAV shows low-cost Clare Controls home-automation and security platform with Alula ('Clare Secure') alarm systems. SnapAV has tiptoed around the security (alarm) business for a few years, but now the big home-technology supplier is diving in, becoming the sole distributor of home-automation sleeper Clare Controls and partnering with Alula for alarm products and SHaaS (smart home as a service). Clare is a quiet giant in the home-automation and security market, with a hub that starts at less than $200, plus attachments for building out a complete system with video surveillance, energy management, security, lighting control, multiroom A/V and more. The cloud-enabled control platform is rich, and the tools for self-configuration are outstanding. Last year, Clare teamed with security system provider Alula (formed by the merger of Resolution Products and ipDatatel) to create a fully integrated security and automation platform for dealers that includes recurring revenue for alarm monitoring. SnapAV will sell Alula products under the Clare Secure brand. 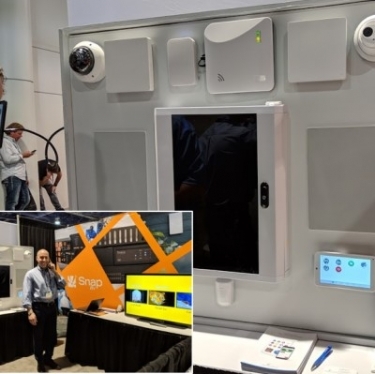 It was just last year that SnapAV made its first appearance at ISC West, the big security show. Soon after, the company hired Clint Choate, a 20-year security-industry veteran, to lead SnapAV’s security-channel initiatives. The Clare and Alula deal will help SnapAV boost its dealer base of alarm installers, but it will also help SnapAV’s core base of A/V and home-automation dealers address the mainstream market and (for the first time) earn recurring monthly revenue (RMR) from alarm jobs. Photo says it all - SnapAV portfolio including Clare Controls home automation, Alula security (Clare Secure), Autonomic multiroom audio, networking, OvrC and more at IBS 2019. Eric Harper, EVP product marketing at SnapAV, predicts a “vacuum” of consumers who seek user-friendly, DIY-type smart-home and security devices but don’t want to actually do it themselves – the so called “do it with me” contingent. They won’t know where to turn for such service because traditional smart-home dealers haven’t stumbled on the right solution for the volume market. Production builders find themselves in a position of having to “cobble together” solutions with brands like Nest and Sonos, Harper explains, so they can “still check the box” but without really providing a smart-home solution … nor a path to long-term customer support or even a generally positive experience with home technology. At the International Builders’ Show (IBS) this week, SnapAV is showing Clare and Alula in their booth in the CEDIA home-technology pavilion (LVCC south hall, upper level), inviting production builders to discover a fully integrated smart-home solution that can start small, say, with an alarm system, smart thermostat and a few Z-Wave light switches, and grow with the customer … thanks to a complete solution and the support of a home-tech pro. Clare was one of the pioneers of “user empowerment” in home automation, allowing consumers to create their own schedules, scenes and interfaces through an elegant user-friendly interface. In addition, Clare users can also enroll new smart-home devices into the system without having to call an integrator, thanks to an online Clare store that sells direct to consumers … while giving the original dealer credit for the DIY sales. While Clare has enjoyed some success in the production homebuilding market, the company has struggled to gain the traction of its larger rivals in both the security and home-automation business. The company has been trying to crack the security industry, home to numerous high-volume installation companies, building out a complete back-end system for alarm reporting and interactive services with Alula. As Clare founder Brett Price – himself a high-end home-technology integrator – will tell you, it’s a tall order for a bootstrapped company like Clare. “We needed a large partner with muscle,” he says. SnapAV is just the ticket. Initially, SnapAV is just getting Clare and Alula products into its catalog of products, but the companies will work together in the future to more tightly integrate the offerings (and opportunities) with SnapAV’s existing systems. Clare and Alula products will “show up” on the network like any other OvrC-enabled product. For starters, Clare and Alula will be incorporated into SnapAV’s OvrC remote system monitoring and management service. Ultimately, however, the relationship could evolve to more tightly incorporate security and RMR into the SnapAV ecosystem. The company could, in fact, become a SHaaS (smart home as a service) provider, just as Clare and Alula are today, competing to some extent with the likes of Alarm.com. Interestingly, SnapAV’s parent company, the VC firm Hellman Friedman, acquired DIY security company Simplisafe last year, but so far there has not been collaboration between the two tech companies. SnapAV likes to acquire companies, so why didn’t it just purchase Clare? SnapAV is just a little busy with two other major acquisitions – the distributors Volutone and Allnet. Volutone is already a Clare distributor and has an established security business. Allnet, on the other hand, will be new to the alarm business. One other key milestone in this deal: It gives SnapAV its first big play in Z-Wave home automation. Let’s watch. This should be fun.